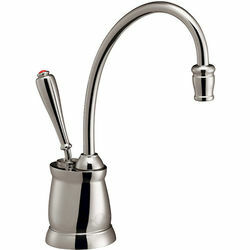 InSinkErator Hot Water > Tuscan Steaming Hot Water Kitchen Tap (Chrome). 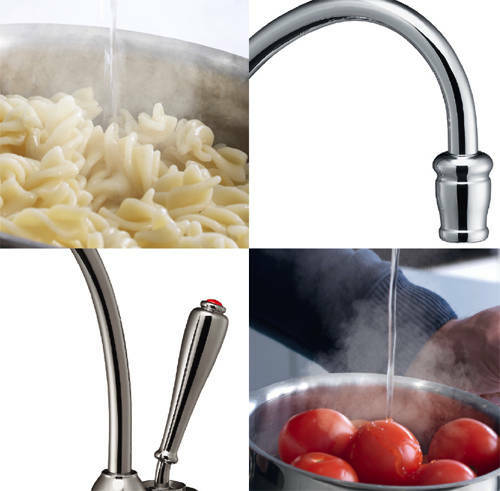 InSinkErator Tuscan Instant filtered boiling hot water kitchen tap in chrome. Showroom Collection - Please phone us for a cost price. Perfect combination of traditional style and functionality (classic and nostalgic). Filtered steaming / boiling hot water. Replace your kettle with this kitchen tap (additional to your main tap). Efficient, space and time saving. Ideal for preparing baby bottles, cooking vegetables, preparing pasta / noodles / rice or just making the tea. 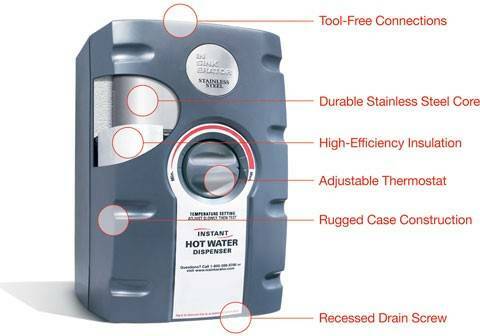 Safe, multi step hot water handle. 1 tap hole deck mounting (32 to 38mm). Made of solid high quality low lead brass with chrome finish. 2.5 litre water tank fits beneath the sink. Filtered up to 98�C steaming hot water. 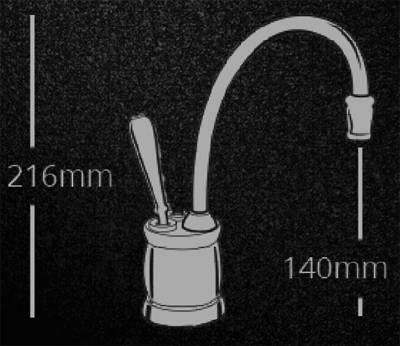 Min water pressure required: 1.7 to 8.6 bar. 2 years guarantee: 2 years full InSinkErator guarantee on tank and tap.